Sorry I haven’t posted anything for so long, that’s the topic for another entry. But I’ve still been cooking regularly and here’s what I made for C & me last night. Another great dish from Salma Hage’s The Lebanese Kitchen, published by the wonderful Phaidon, it’s Koftas With Tomatoe Sauce And Potatoes. It seems that all countries have their own version of meatballs but these Koftas made with lamb, onions, garlic, parsley and mint (amongst other items) had a particularly middle eastern flavour. The recipe called for seven spice season but I used some Ras El Hanout instead which is Moroccan but pretty similar, I imagine. And here it is…straight out of the oven and on the plate. I still score low on presentation but it tasted great, especially when I had the leftovers for lunch today! We really do have the palette for Chinese food at the moment as here is a view of our 3rd or 4th weekly Chinese meal in a row. 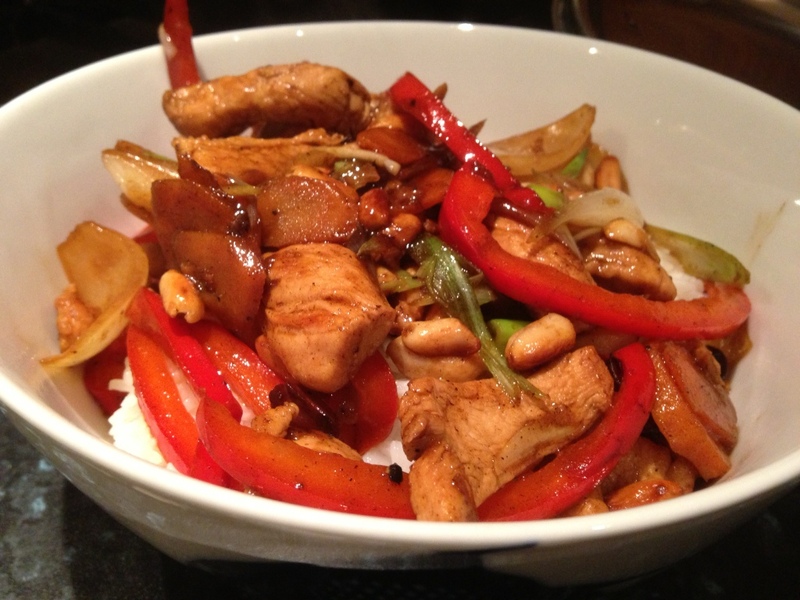 Tonight it’s chicken with red pepper and pea nuts all lovingly stir-fried in the wok…enjoy. 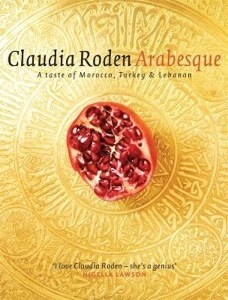 I’ve been a keen cook since the early 1980s (I have a feeling that story will be one of the subjects of a future blog) and some 30 years on I’m currently getting to know and enjoy cooking from countries that embrace Muslim culture mainly thanks to a book C bought me for Christmas called Arabesque by the excellent cookery writer Claudia Roden. 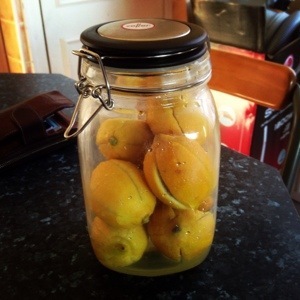 This wonderful compendium of recipes from Turkey, Lebanon and Morrocco inspired me to try my hand for the first time at preserving lemons (or preserving anything for that matter) and here is the jar 6 weeks on from the picture taken above. The lemons are now ready for use and would have been utilised for tonight’s lamb, potato and pea tagine except that we still have a few left over in a jar of the same preserved lemons I recently found in a Waitrose store in Preston along with the uncommon spice that is ubiquitous in Turkish cuisine; sumac. Wash and scrub the lemons and make 4 slices in each lemon from top to bottom. Stuff each lemon with a tablespoon of sea salt into the slits. 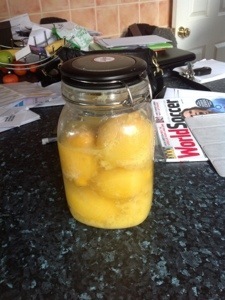 Press the lemons down into a sterilising jar and close the lid. Leave them for 3-4 days. Open the jar and press the lemons down as much as possible then cover in lemon juice squeezed from the other lemons. Close the jar again and leave for at least a month. Before use, wash the lemons under running water to lose the salt and enjoy. I’m really impatient to try my lemons so while writing this I have decided to use them in tonight’s recipe so I will let you know how they taste. Catch you later, I’m off to the kitchen! 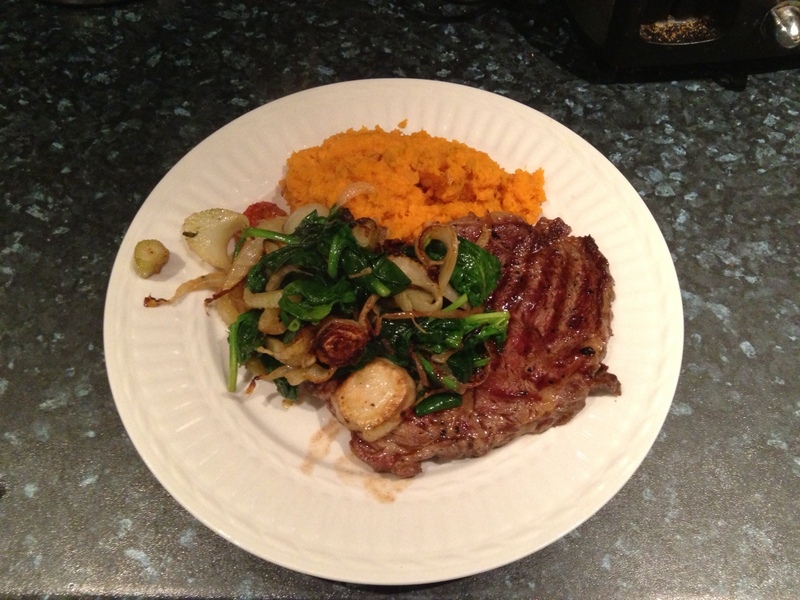 Saturday night rib-eye steak cooked rare with sweet potato mash, spinach, fried fennel and onion, grilled tomatoes. 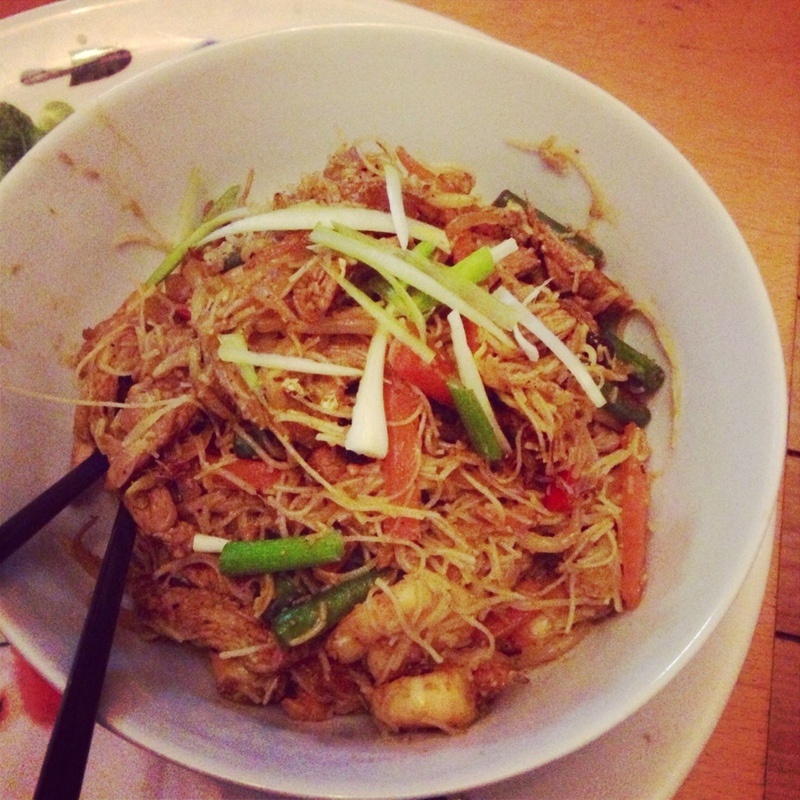 Last Friday night’s tea but again, not strictly Chinese because it’s Singapore Noodles! 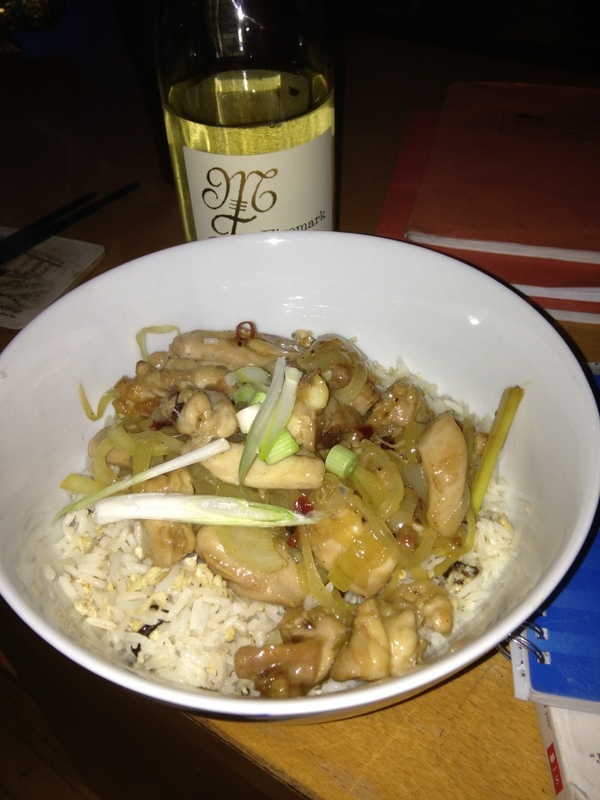 Well not strictly Chinese but two recipes from Ken Hom’s Hot Wok book: Thai Style Chicken and rice with Chinese sausage. 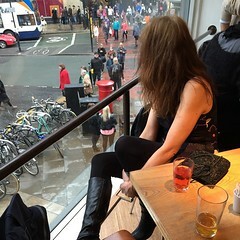 Friday night’s evening meal.